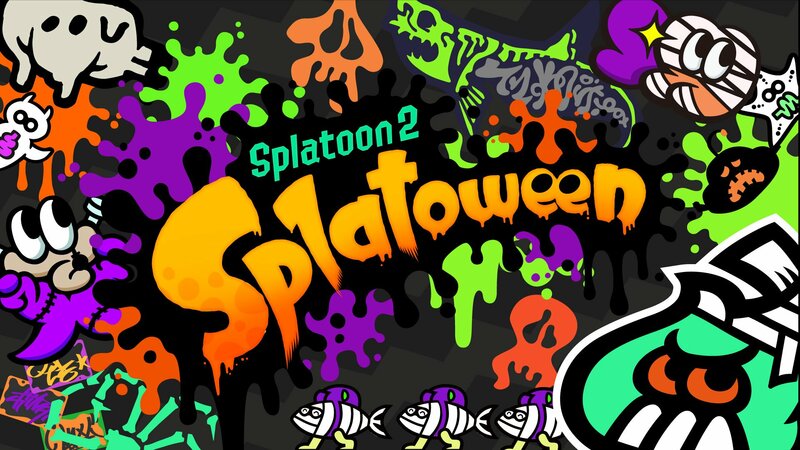 Ever since Splatoon was released, back in 2015, Nintendo has held special Splatfest to celebrate special holidays or events like Halloween. 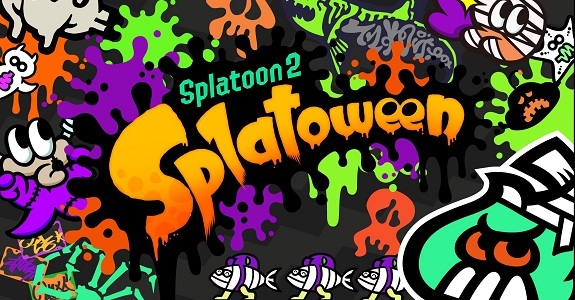 But this year, the developers have decided to do something really special with an event called Splatoween. 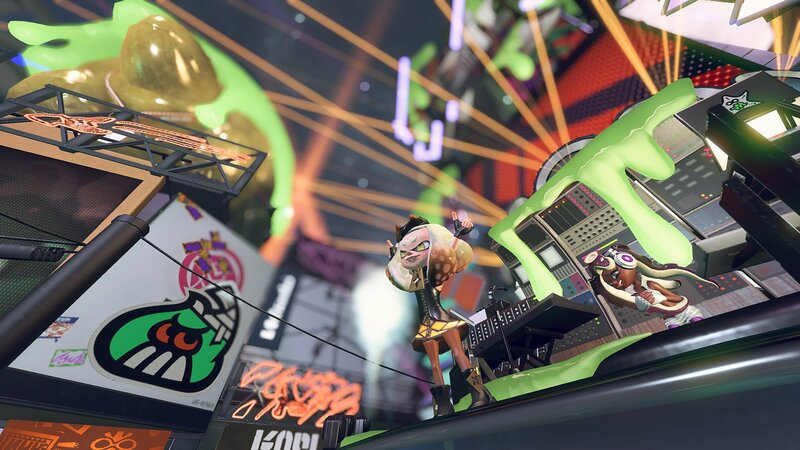 Instead of a regular Splatfest, players will be able to enjoy a really special one that not only lasts 48h (instead of the usual 24h), and also happens to be global. 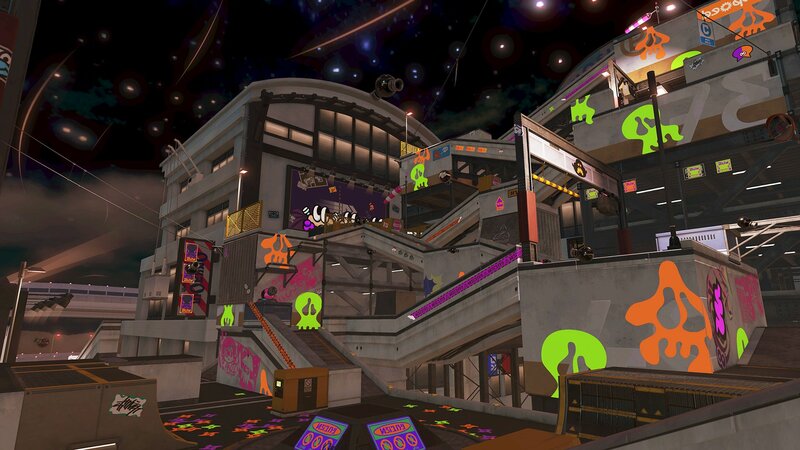 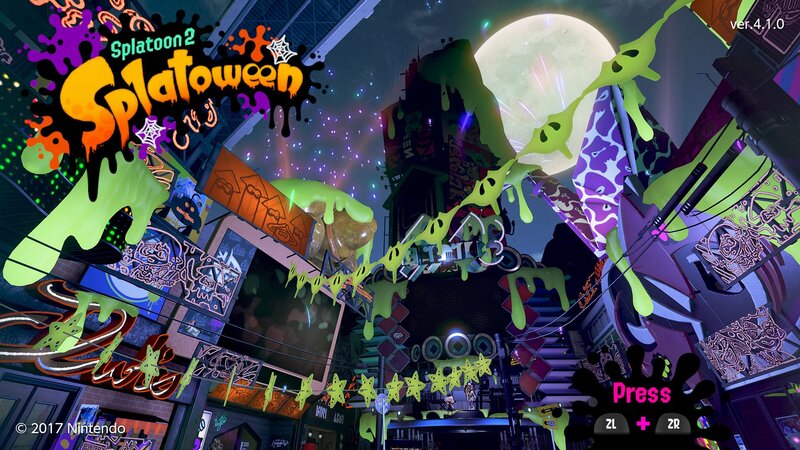 But more importantly, Inkopolis gets a massive makeover: there are Halloween-related decorations everywhere, and even the inhabitants are wearing some costumes! 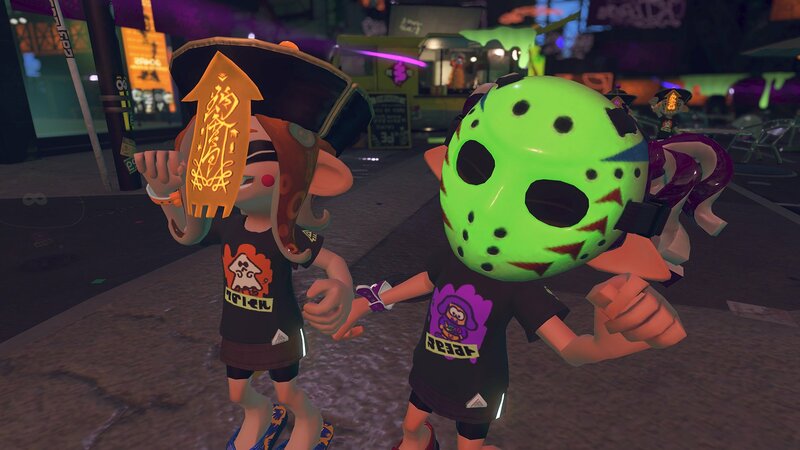 There are also some exclusive pieces of gear to get! 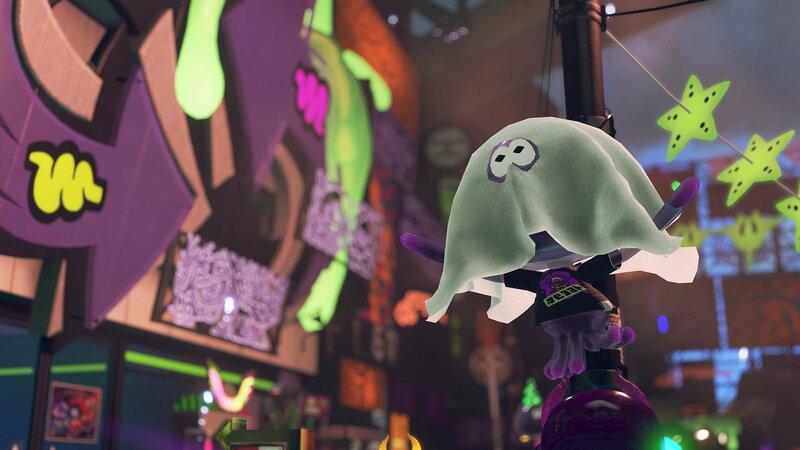 The 15th Splatfest is Halloween-themed, and has you choose one of the two sides: Trick or Treat. 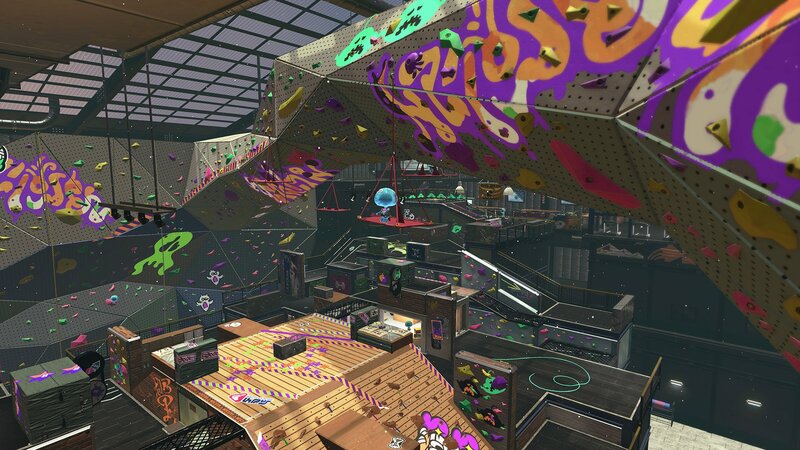 You will be able to vote starting on October 5th. 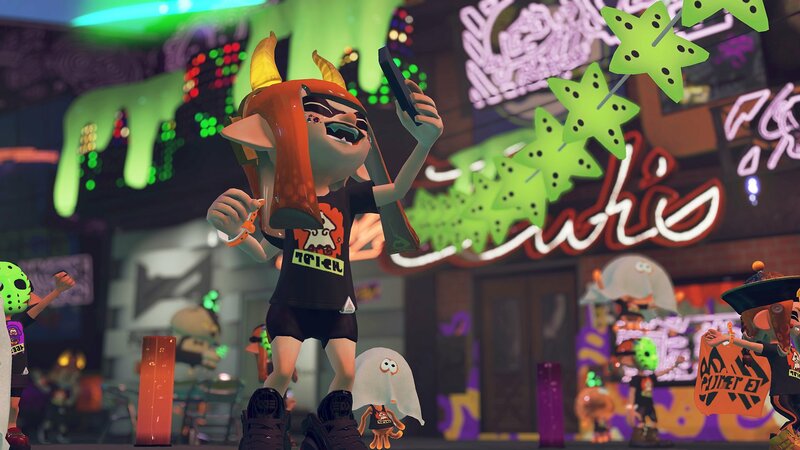 More details about the Splatfest can be found on this page! 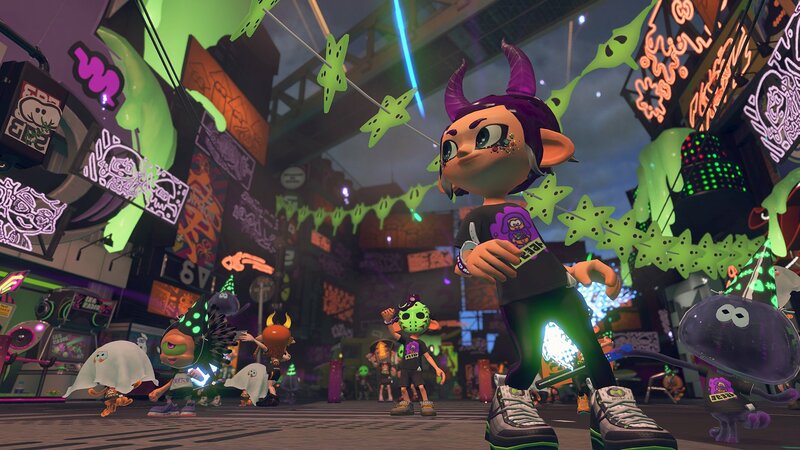 During the Splatfest, Inkopolis will feature various Halloween-themed decorations, and even the inhabitants will don their best Halloween costume. 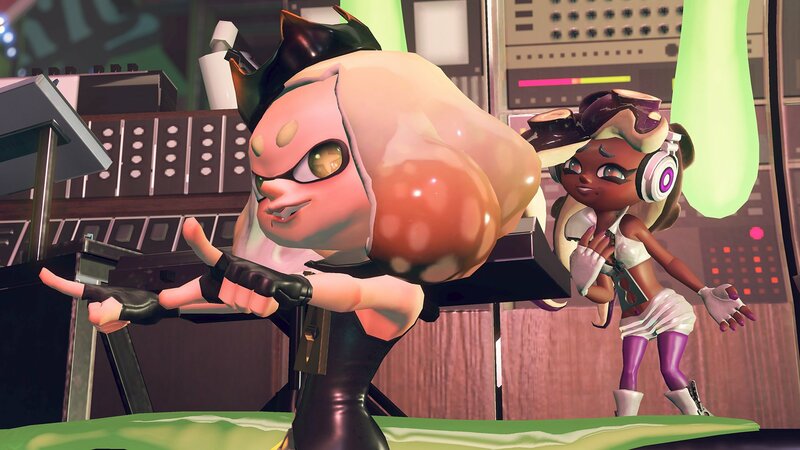 And yes, that includes the two members of Off the Hook, and even important characters like Judd! 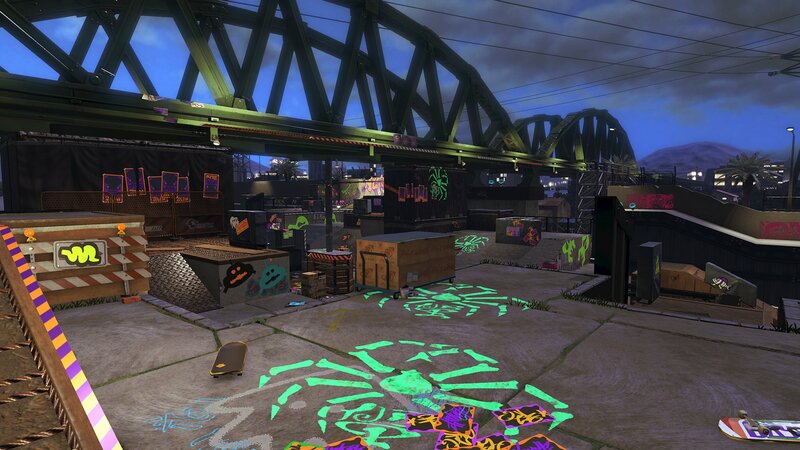 And it’s not just Inkopolis Plaza that has been decorated for the event: even the stages playable during the Splatfest will get Halloween-themed graffiti! 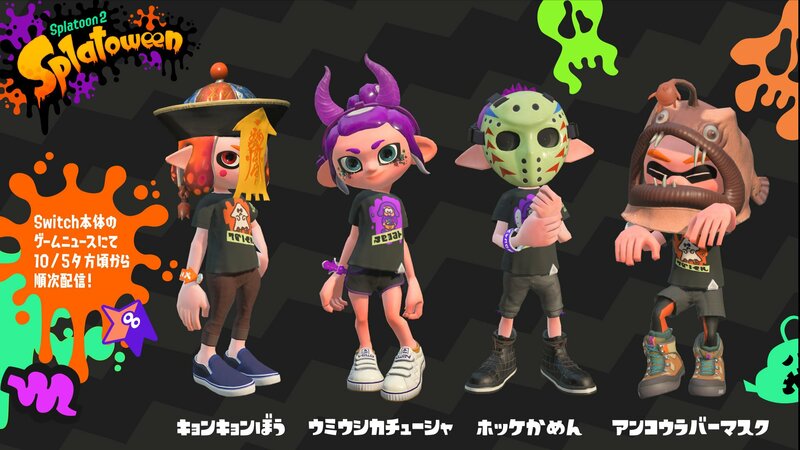 In order to celebrate Splatoween, players will be able to get some exclusive Gear via the News feature on their Nintendo Switch. 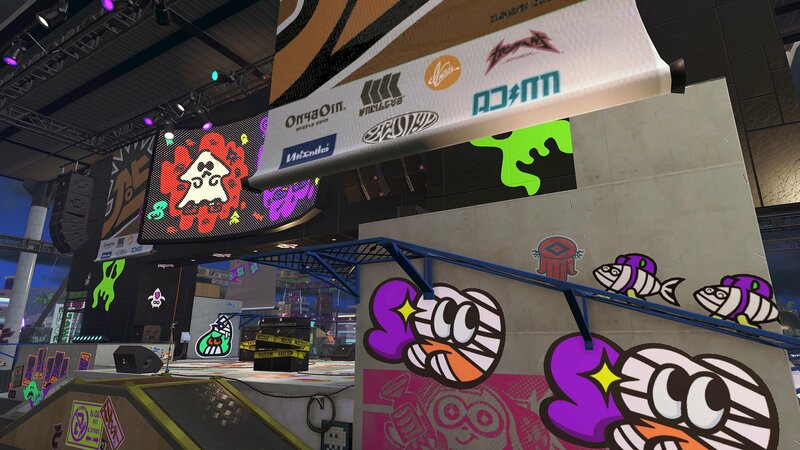 There’s 4 pieces of Gear in total, and they will be distributed via several news posts (one for each region). 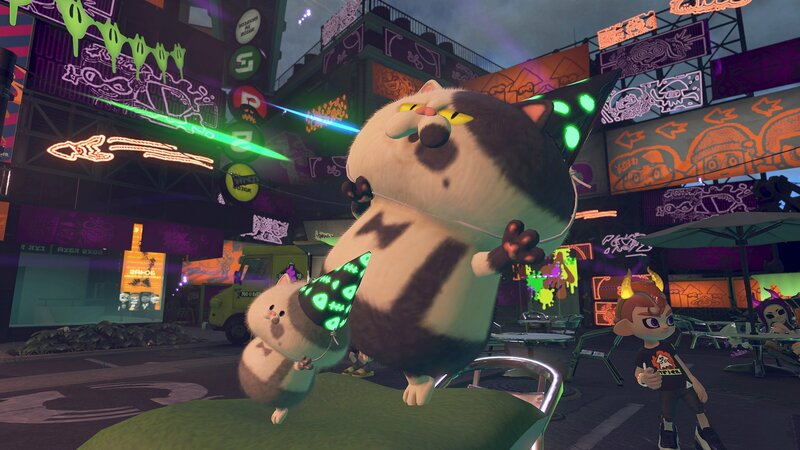 To get them, you will have to click on the link found in those news posts, which will launch the game; you get your present once you’re in-game, after opening the box that has been delivered to you on the plaza. 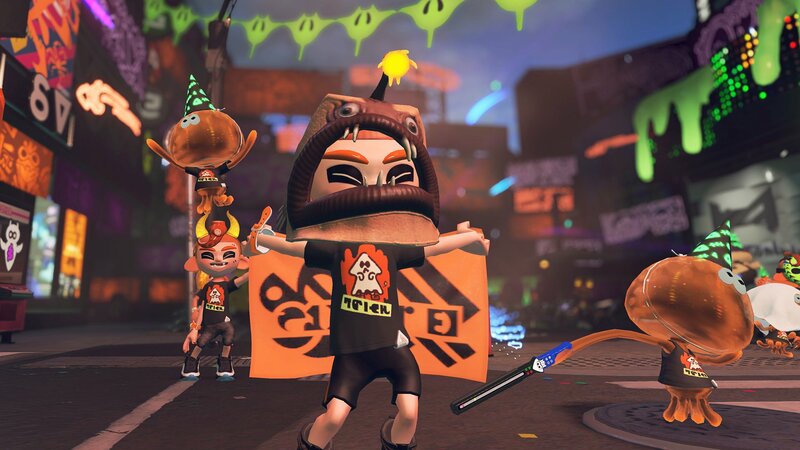 More details about the exclusive Gear can be found on this page!